Among other things, like ski movies and stacking firewood, fall is the time of year when skiers turn into shopaholics. An onslaught of marketing takes dead aim at our wallets and snow-starved hearts with images of solitary skin tracks, wintery descents, and untracked turns, all yours with this brand new pair of $1,200 feather light carbon skis. But there's another way to spend a few dollars and still get all the benefits of shopping therapy: Next time you step up to the counter at your local ski shop, put a few bucks (or more) in the donation jar for your local avalanche center. Take 10 percent out of your new gear budget and support the guys who provide the information you need to use your gear safely. If the mountains are our sanctuary, giving to the avy center is our tithe. 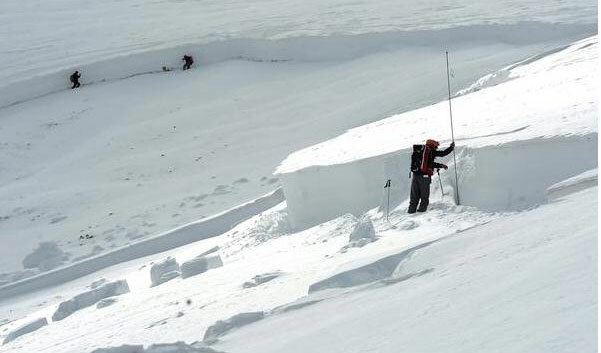 The state government funds most, if not all, avalanche centers in some varying capacity. However, those limited state funds pay for just the basics. 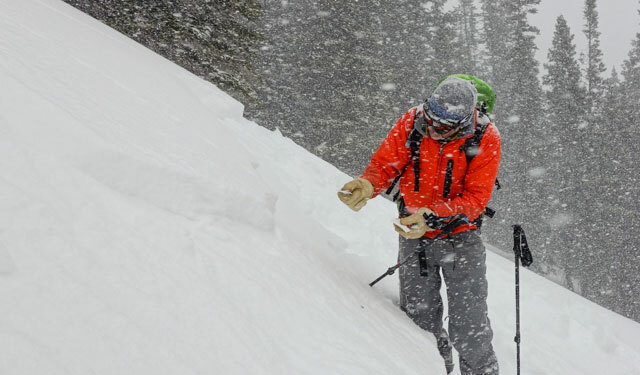 Most of us know this, but here it is again: With more skiers using the backcountry, avalanche centers rely on dollar-backed donations so they can meet the extra demand with reliable information delivered in a convenient package on a timely basis. For many avalanche centers in the United States, two thirds of the funding comes from the user—the skier. "[The daily avalanche report] is a free thing. It's open on the web," says Don Triplat, executive director of the Sierra Avalanche Center (SAC). "And it's always going to be there, whether you use it or not. But I'm asking people to financially support us so we can grow a bigger program and do more." And centers like the SAC are doing a lot. The SAC, a smaller operation, is currently pressing the Forest Service to hire additional forecasters beyond their two full-time guys who are responsible for churning out a daily report for the entire Lake Tahoe Sierras. Because of donations, the Colorado Avalanche Information Center (CAIC) and the Northwest Avalanche Center have been able to collaborate and build a new app that will deliver the snow report and forecast to your phone, alert you when new observations for avalanche activity arise, and provide a means for you to submit your own conditions report when you see sketchy things in the snowpack. The Gallatin Avalanche Center in Montana will also be releasing an app this winter. The Utah Avalanche Center is expanding its education arm, with free beacon clinics, intro field classes, and women's only clinics. That's all in addition to publishing extensive, streamlined reports that analyze the snowpack on the daily. "If we want to grow and develop into a more efficient avalanche center that's providing better forecasts for the users, then the users need to invest in that," says Aaron Carlson, executive director of the Friends of CAIC. Skiers are already on board. Last spring, Carlson launched a campaign to match funds up to $150,000, and skiers rose to the challenge. "One kid donated $12 and some odd cents and his note said, 'I don't get to drink beer tonight, but thank you for all that you do.' It was so rad," Carlson continued. It's easy to donate, and with all the parties avy centers throw, a damn good time, too. 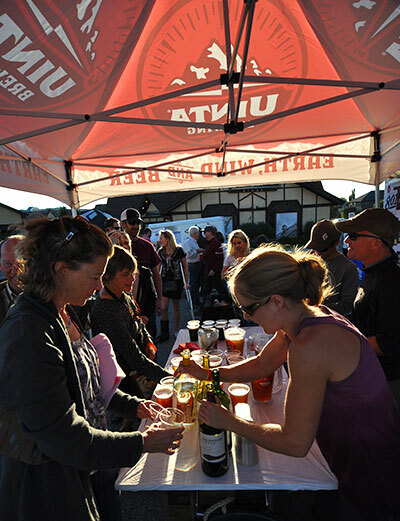 Earlier this month, the Utah Avalanche Center held their annual Black Diamond Fall Fundraising party, an unofficial kick off to the season for Utahites with live music, food, beer, and a raffle. The event typically raises $60,000 for the UAC, which is about 10 percent of their total budget. "We'll continue to have fundraising events and ask for donations all winter long," says Paul Diegel, executive director of the UAC. "Without the generous support our community provides, these programs would not exist. Our users recognize that we provide the tools they use every day to find the best conditions and make wise decisions in the backcountry." 1. Become a member. Next time you visit [blank]avalanchecenter.org, click the red button and take ownership of your local avy center. "Think of it as a season pass to backcountry snowpack information provided for you every day," says Triplat. "The daily avalanche advisory is something that we all rely on to inform us of what is happening out there and to check in on what we may have missed while away from the mountains." – The Gallatin Avalanche Center’s 16th annual Powder Blast is Friday, October 24, featuring a huge gear-filled silent auction, food, music, and drinks. – The CAIC Benefit Bash on November 8 at the Riverwalk Center in Breckenridge, Colorado. Tickets are $40. – The Northwest Avy Center’s Snowbash on November 19 at Nectar Lounge in Seattle. – The Sierra Avalanche Center’s Backcountry Ball on December 12. Details TBD. 3. Watch Movies. Powderwhore Productions is showing its latest ski flick, Some Thing Else, all week at Brewvies in Salt Lake City, Utah. A raffle each night will benefit the Utah Avalanche Center or the Wasatch Backcountry Alliance. Check your local ski shop for slideshows or ski movie showings that are also raising money for the avalanche center. 4. Learn some smarts. Snow safety classes and professional workshops aren't so much fundraising farms as they are services to skiers. So take advantage. Many avy centers are hosting their own toned down versions of the much-larger International Snow Science Workshop for local snow safety professionals. Like the 7th Annual Utah Snow and Avalanche Workshop will host more than 700 avalanche pros and serious recreationists from around the West in Sandy, Utah on Saturday, November 1. 5. Go Skiing. (Duh). Actually, I mean go skiing inbounds. Sounds counter intuitive but a lot of ski resorts donate ski tickets to avalanche centers, which turn around to sell them at a discounted price and raise money. The UAC is doing it. So is the SAC. Check their websites for details as winter approaches. It's a win win.